MythBuster Adam Savage saw a replica of the Overlook Hotel Maze from The Shining at an exhibition of Stanley Kubrick props and such. The replica was not the original (as the original was apparently destroyed after shooting). Savage was not entirely pleased by this replica. So he made his own. He built it bigger, stronger, and better in every way. There is a lot to spoil in this video, but I will resist the urge. 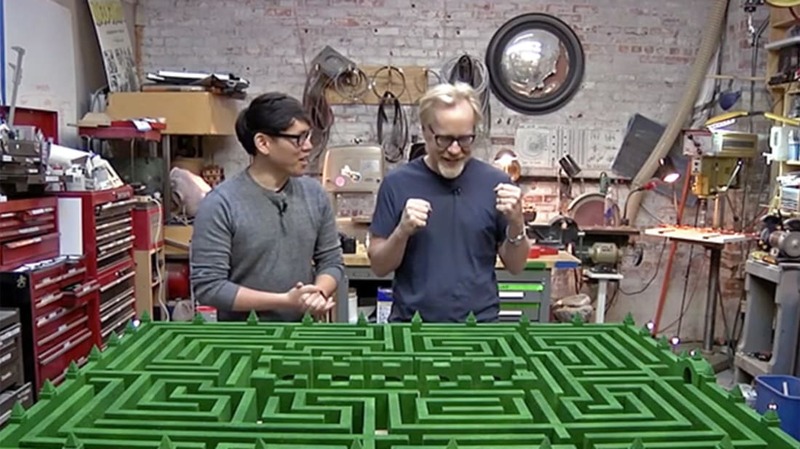 The one important non-spoiler is that halfway through this rather long video I was not sure he would actually complete the maze during this video (for a while it looked like we'd have to watch another 24-minute video in a few months to see the final build). Then the final build happened. So, yes, you do get to see the whole process, right here. It's so worth it. All work and no play makes Adam a dull boy.